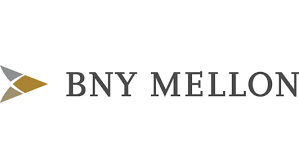 Funding Circle, the leading small and medium enterprise (“SME”) loans platform in the UK, U.S., Germany and the Netherlands1, and Alcentra Limited and Alcentra NY, LLC (collectively “Alcentra Group”), an alternative fixed income specialist for BNY Mellon Investment Management (IM), today announced a strategic partnership to support the growth of thousands of U.S. small businesses. The partnership will see Alcentra, a global asset management firm with assets under management of approximately $37.7 billion2, on behalf of its clients purchase up to $1 billion in business loans originated through Funding Circle’s U.S. platform (Funding Circle U.S.) over a period of up to three years, with financing from Credit Suisse. In total, the deal is expected to fund loans to approximately 8,000 U.S. businesses, creating thousands of new jobs across the country. Today’s news follows a record first half of the year, with Funding Circle facilitating more than $1.4 billion in lending globally in the first half of 20183. Despite playing an important role in the American economy, including employing roughly half of the country’s private workforce4, small businesses continue to face challenges accessing finance through traditional channels. Funding Circle links this demand with supply, supporting access to finance for small businesses and enabling economic growth. In total, Funding Circle has facilitated $1.5 billion of loans to U.S. small businesses. A recent analysis by Oxford Economics found that lending through Funding Circle contributed $2 billion to the American economy in 2017 (measured in Gross Value Added)5. Globally, this lending enabled more than 75,000 jobs globally in 2017, including 28,000 jobs in the United States. 1 By Q1 2018 originations for the United Kingdom and the Netherlands, and cumulative originations for the United States and Germany, according to OC&C analysis and estimates. 3 £1.043 billion at an exchange rate of 1.377 dollars to the British pound.